Essential IT Solutions sells new and refurbished computers and laptops, peripherals, accessories, ink cartridges and toners and provide computer and software upgrades and repairs. We grew from humble beginnings to a fully-fledged IT solutions business. 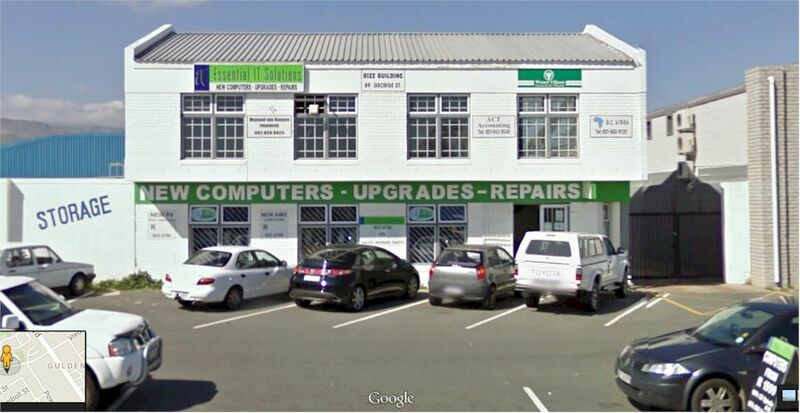 Operating from the beautiful coastal Strand suburb of greater Cape Town, Essential IT Solutions technicians answer to clients in the Helderberg, Cape Town and nearby platteland areas while our online store ship products nationwide. Our in-store technical support is speedy and affordable. We also do on-site technical support to local businesses. We offer a range of emergency backup power solutions for home and business networks as well as cost-saving VOIP and PBX solutions. We continually strive to offer our best service at all times. Many thanks for your support throughout the years. We look forward to being at your service for many more.